Rupert Pupkin Speaks: Film Discoveries of 2017 - Paul Corupe ""
Paul Corupe: Writer, editor, salvager of cultural detritus. See:@Canuxploitation.com, SpectacularOptical.ca, @BlackMuseumTO lecture series, @RueMorgue magazine. This incredible docudrama about roller disco that follows two enthusiasts who are trying to break into the "big time" is easily the most tragic, hilarious film I saw this year. The film has real-life rollerskaters Pat the Cat and Vincent "Vinzerrelli" Brown—eccentric fixtures at Brooklyn's Empire Roller Rink—cast as themselves in a loose narrative about their hopes to get picked for a European tour to help popularize the sport. 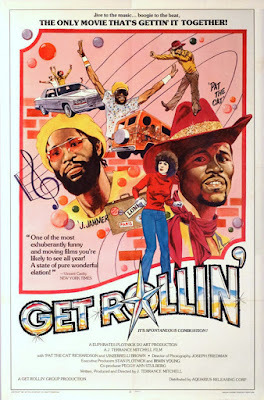 Reminiscent of WILD STYLE but focusing on an even more marginalized subculture, the film is amazing in portraying its subjects' vibrant enthusiasm for roller disco and confidence of their impending stardom that, 35 years on, we recognize as ultimately ill-fated. This knowledge makes certain scenes, such as Pat quitting his fast food job to make it to a last minute tryout and bragging to the boys at the pool hall about his upcoming Euro-tour, tinged with heartbreak. 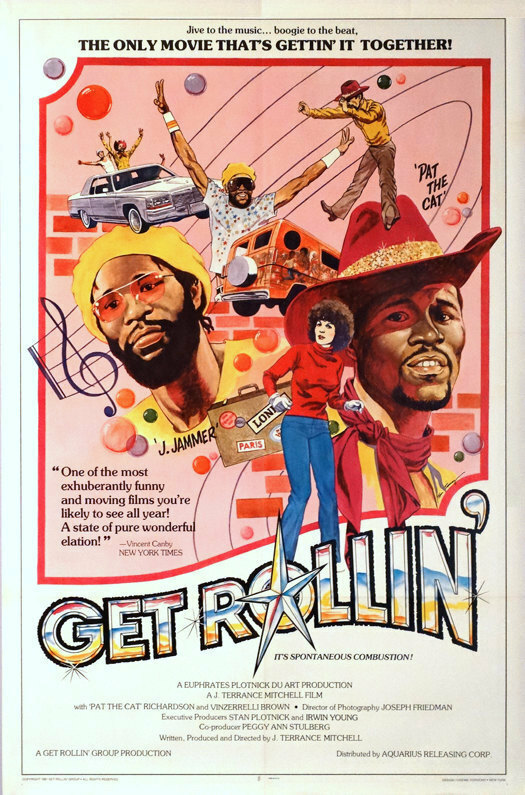 Featuring lots of early '80s NYC location work alongside a wealth of roller disco footage shot at the Empire, the long running rink that was also the supposed birthplace of the fad, GET ROLLIN’ may have been intended as a cash-in film on a recent fad but has become so much more in the intervening years. Imagine if the Crown International people remade PUTNEY SWOPE and you'll have some idea of what to expect from the self-proclaimed "DOPIEST comedy of all time!" This regional NJ-shot obscurity has a college student forced to cancel his vacation plans to hang out with his super-square cousin Arnold all summer. At first things look dire, but when he forces Arnold to take a few drags on a joint, the mild-mannered kid uses the book smarts he picked up in his accountant courses to launch a highly professional pot dealing business, complete with wood paneled offices, secretaries and a fleet of vans. Arnold reasons that even so-called legitimate businesses are full of scofflaws and immorality, so why not cash in too? As the new business venture starts raking in piles of cash, a scene at a salesman's banquet provides a highlight when Arnold shows a short industrial film, "The Story of Dope," that outlines his business model, just as the police break down the doors. The humour is often forced and the satire is hazy, but director Steven de Souza—later to direct 1994's STREET FIGHTER video game adaptation—keeps things at a good clip, with MISSION: IMPOSSIBLE parodies, a slick animated credit sequence and incorporation of TV footage from Nixon's Shafer Commission on illegal drugs. Takes its name from Iasos' 1975 album, this fascinatingly bizarre 30-minute documentary features interviews with the eccentric Greece-born new age musician who explains that his "paradise music" is a collaboration with a "higher-dimensional" being named Vista. He describes his composing process as a human celestial antenna that receives music that's either from aliens or angels that few of us are attuned to hear properly, except on our deathbeds. Mixing performance footage with bizarre interviews punctuated with Iasos' fits of boisterous laughter (caused by intergalactic rays of ecstasy, natch), INTER-DIMENSIONAL MUSIC is a compelling time capsule of the dawn of LA new age music before it got huge, a topic not really given much attention by documentary filmmakers (though a feature-length doc exploring Iasos’ bizarre legacy is reportedly slated for 2019). 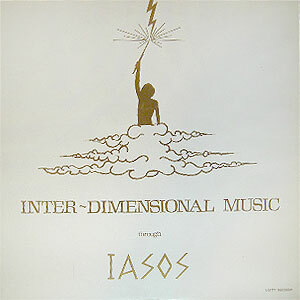 It's not your typical outsider music documentary, since the music itself is fairly polished and typical of ambient synth music, but Iasos' highly eccentric personality and approach leaves one wondering whether he's on the level or more of a cosmic joker. The 1990s were a good time if you were into movies about swords or underground fighting tournaments, but especially if you were into both. One of those hilarious video-age relics that tried to simultaneously appeal to men (illegal violence clubs!) and women (chivalrous, long-haired dudes in billowy shirts! ), RING OF STEEL has a disgraced Olympic-hopeful fencer forced to participate in illicit deathmatches in a swanky warehouse. Joe Don Baker plays the sleazy club owner who pits star/writer Robert Chapin against a series of other mullet-sporting dudes, each with a signature sword that they use to cut each other down while bloodthirsty, well-heeled audiences cheer them on. Drawing inspiration from THE HIGHLANDER but too much like a boisterous Renaissance Faire to take seriously, the fight scenes are prone to silly touches like fighters tossing roses to ladies in the audience or, in one case, letting a flock of chickens loose in the arena to confuse their opponent. The dumbest fun. This UK instructional safety short from THE LONG GOOD FRIDAY director John Mackenzie is one of the grimmest films you've ever seen. While this 30-minute film seeks to warn children of the very real dangers of fooling around near heavy farm machinery, the cruelty that it displays towards their deaths—deliberate, since it makes APACHES all the more powerful—is unquestionably disturbing. In the film, six young elementary school kids playing around in a rural area are effectively bumped off one by one due to their careless behaviour. Each time a child is mercilessly crushed by a tractor, drowns in pig crap or drinks poison, the finality of their death is indicated in a matter-of-fact scene of cleaning out their school desks or removing their nametag from a closet cubby. 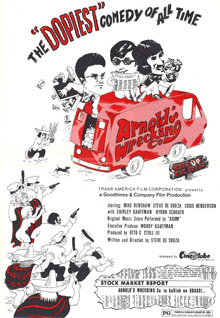 The film's title derives from a game of "Cowboys and Indians" the doomed kids play before their grisly accidents, but is more apt as a reference to AND THEN THERE WERE NONE, as the film's horror elements and ghostly twist conclusion make this a memorable and, at times, upsetting experience. 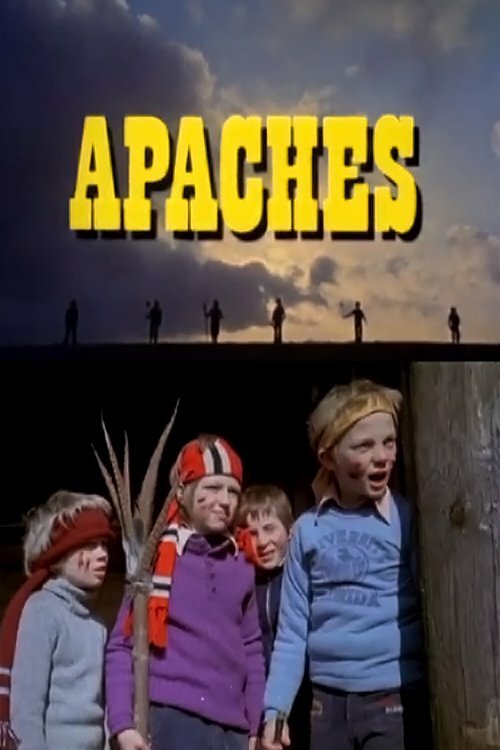 "Apaches" is something, isn't it?! I don't think I'll ever forget it.